Have your PAR pine cut to length at your local Builders store to save time. 1. 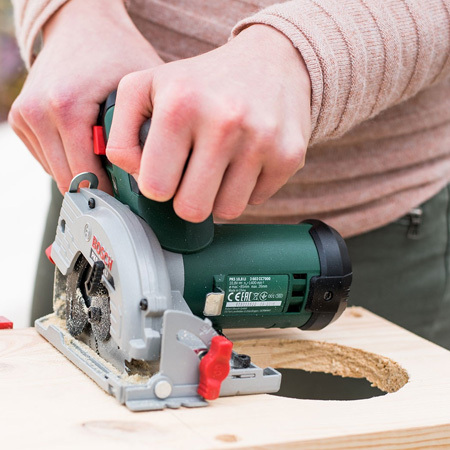 If not having your PAR pine cut to length, divide into 220mm long sections, allowing for the width – usually 3mm – for the jigsaw or circular saw blade. 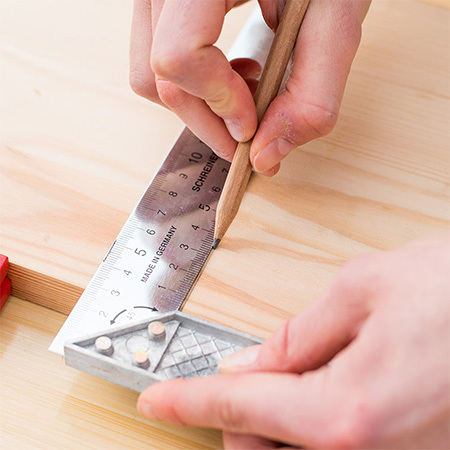 Draw a diagonal line on each 220 x 200mm section to determine the centre point. 2. 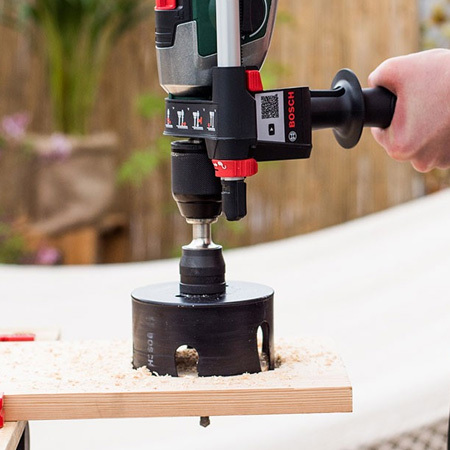 Place the tip of the hole saw centre bit on the centre point and drill out a hole in each 220 x 220mm section. 3. 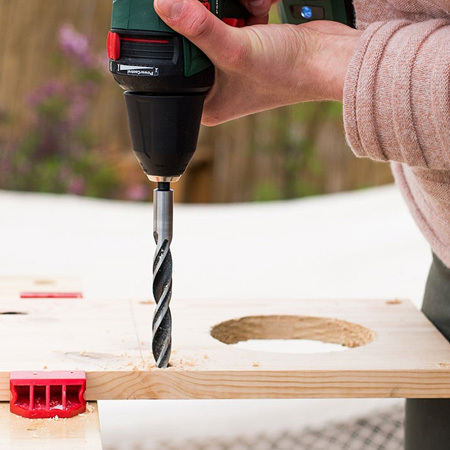 Also drill  corner holes using a 10mm wood bit. Place these about 10mm in from the edges. These will be for threading the rope through to make the hanger. 4. 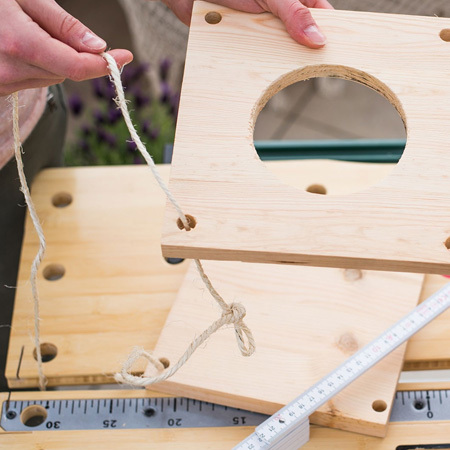 Use a jigsaw or circular saw to cut the long length into individual 220 x 220mm pieces. 5. 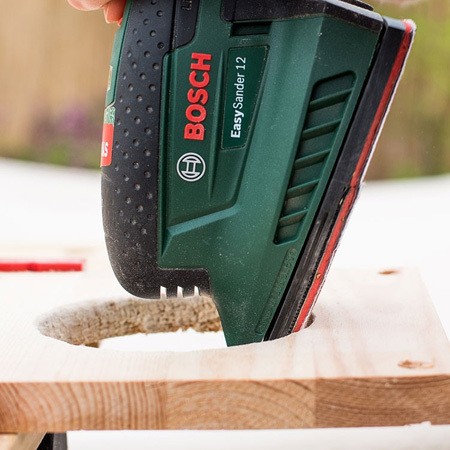 Sand the rough edges smooth with 80- and then 240-grit sanding pads. 6. Cut  lengths of rope and thread the rope through the corner holes. Tie a knot at the end to thread through the bottom piece and then tie a knot where the next piece will be secured. You can adjust the height according to the height of the plants you will be placing in the hanger. The gap will probably be around 300mm between each hanger. 7. At the top, tie the  pieces together and form a loop. 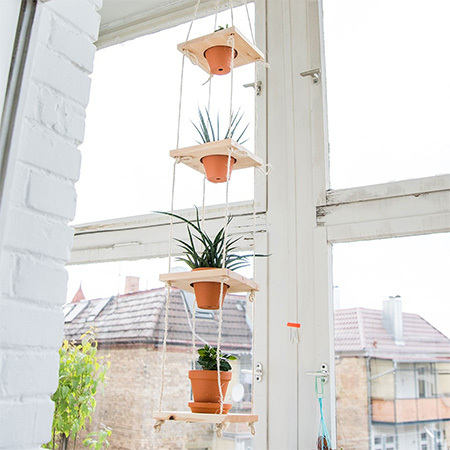 Screw your ceiling hook through the ceiling board and into a ceiling beam before hanging up your planter.